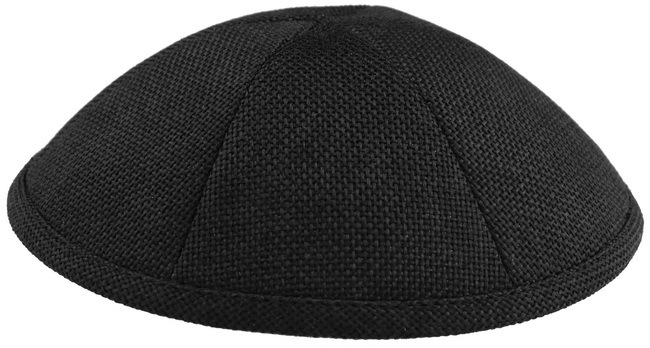 Our Burlap kippot are lined with a white lining and are made with six panels. They have an eyelet in the lining for a clip to keep your kippah in place. Buttons and Special Trims are available. Personalization is included with a minimum order of 5 dozen or more.